Would you like to achieve more in less time? If you're anything like most people you've tried clearing the email inbox which has only resulted in people actually emailing more and expecting more. Or maybe you've tried the usual "productivity" advice which has just resulted in disappointment. When you purchase 10 Days To 10X you'll finally be able to go from overwhelmed overachiever to super calm super achiever. 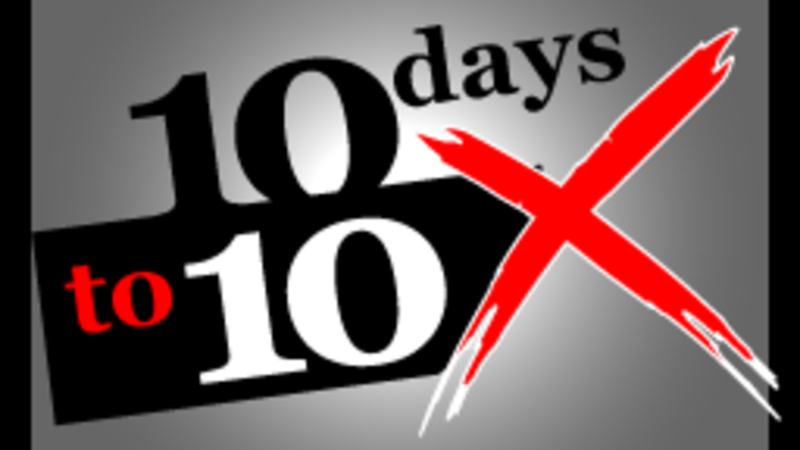 The best part about 10 Days To 10X is that it has step-by-step guides for self-discovery. This is a good thing because it helps you to identify and optimize your highest-yield activities for the best results. It also has a quick, 10-day action plan which is powerful because it is super easy to get going taking massive action. We're so sure that 10 Days To 10X will help you to achieve more in less time that we also included our 30 day money-back guarantee. If 10 Days To 10X doesn't help you to go from overwhelmed overachiever to super achiever, just let us know and we'll refund you in full. Get the videos, the worksheets and the audios in one easy payment.